Does Toshiba's ultraportable make too many sacrifices? 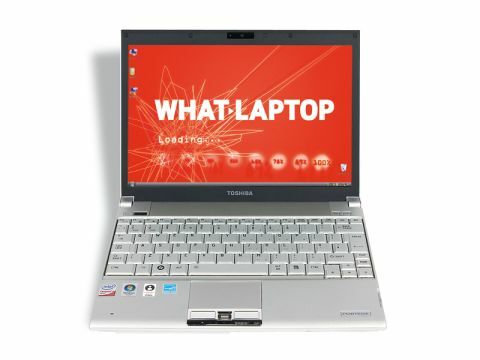 Toshiba's Portégé R600 range has been around for a while now and comprises some of the most portable laptops you can buy. The Portégé R600-11B is a high-end machine, offering excellent connectivity and good usability. The 12.1-inch screen is unusual as it uses transflective technology. With a matt finish that both reflects and transmits light, it allows you to use the machine in any lighting conditions, and also means you can turn the brightness settings down to a minimum when in direct sunlight – vastly improving the battery life. It won't suit all users, however, as it suffers from very limited viewing angles. Toshiba has also fitted a host of other components that aim to save on battery life, including an integrated graphics card and an ultra-low voltage (ULV) Intel Core 2 Duo processor running at 1.4GHz. These components help to offer an excellent 478-minute battery life, although performance is limited as a result. Even with 3072MB of memory, lag is apparent when multi-tasking, making it a machine suitable for basic office use only. The keyboard on this laptop is amazing, considering the small size of the chassis, with large and responsive keys that move near silently. Tapered edges make it easy to distinguish between the keys when touch-typing, making this an ideal choice for long-term business use. It is also one of the lightest laptops you can currently buy. This particular model features an integrated DVD drive, which puts the weight up to 1.1kg, but it's also available without an optical drive, weighing an incredibly lightweight 825g. Such a low weight is achieved through the use of magnesium alloy throughout the chassis. It's highly flexible, feeling more like plastic to the touch, but is a great choice for those intending to carry their machine around for long periods of the day. It lacks the sturdy feel of the other laptops, however, which is worth considering if you carry your laptop in a bag alongside other products. As with the other laptops here, wireless connectivity is excellent, with 802.11n Wi-Fi for fast access to networks and a 3G/HSDPA module that lets you browse the internet on the move. The required SIM card is located beneath the battery and is easily accessed. It's also not tied to a specific network, so you'll be able to choose a tariff that best suits your needs. If you place mobility above all your other needs, then the Portégé R600-11B is well worth a look. The transflective screen won't suit all users, however, and its limited performance may also deter those looking for power.